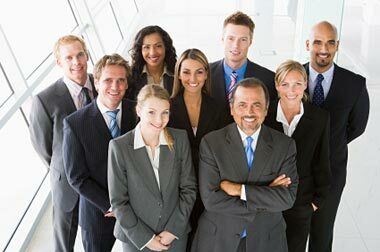 Since 1988, LA Business Personnel has earned an impeccable reputation in matching skilled professionals with temporary and regular full-time positions. We provide temporary and regular full-time office, legal and technical/IT support staff. Our mission is to provide our clients with the high quality services by matching right candidates to clients while maintaining excellent customer service. We are proud to be a Certified California Woman Owned Company. Our experience, dedication to our clients, quality services and quick response are just some reasons LA Business Personnel continues to grow. Yet, we are still serving our clients and temporaries from 1988. Legal Secretaries, Paralegals, Executive Secretaries, Secretaries, Administrative Assistants, Word Processors, Receptionists, File Clerks, Data Entry Clerks, Customer Service Reps, A/P & A/R Clerks, Bookkeepers, Accountants, Financial Analysts, Data Analysts, Project Analysts, Program Managers, Marketing Analysts, Business Analysts, QA Analysts, Tech Specialists, Communication Specialists, Project Coordinators, HR Managers, Recruiters, HR Generalists, Light Industrial and many more. Our staff is pleasant, knowledgeable and ready to serve you. © 2011-17. LA Business Personnel, Inc. All rights reserved. Web Site Designed and Hosted by RJT Design Studio .